One of the aims of modern medicine is perfecting the way we tests treatments and drugs, so that the lengthy guess-work and clinical trials can be shortened or even cut out of the equation. While this would not only ensure the speedier delivery of drugs to market, it would also eliminate the need for animal testing, something which has become increasingly common and controversial in recent years. Over the last century, animal testing has expanded from biomedical research to included things like drug, chemical, and cosmetic testing. One 2008 study conducted by The Guardian estimated that 115 million animals are used a year for scientific research alone. It is therefore no surprise that opposition is growing, and that researchers, regulators and even military developers are looking for more accurate, efficient, and cruelty-free alternatives. Enter the National Insitute of Health in Besthesda, Maryland; where researchers have teamed up with the FDA and even DARPA to produce a major alternative. 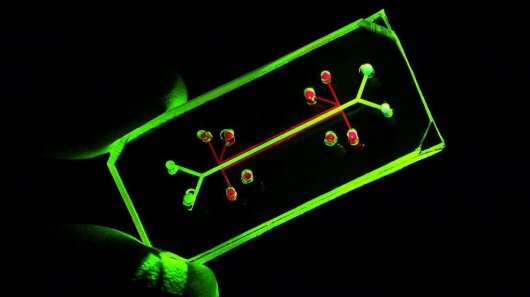 Known as the “Human Body-on-a Chip”, this device is similar to other “Organs-on-a-chip” in that it is basically a small, flexible pieces of plastic with hollow micro-fluidic channels lined with human cells that can mimic human systems far more effectively than simple petri dish cell cultures. If our goal is to create better drugs, in a way that is much more efficient, time and cost-wise, I think it’s almost inevitable that we will have to either minimize or do away with animal testing. What’s more, chips like this one could do away with animal testing entirely, which is not only good news for animals and activists, but drug companies themselves. As it stands, pharmaceutical companies have hit a wall in developing new drugs, with roughly 90% failing in human clinical trials based on safety and effectiveness. One reason for this high rate of failure is that drugs that first seem promising in rodents often don’t have the same response in people. 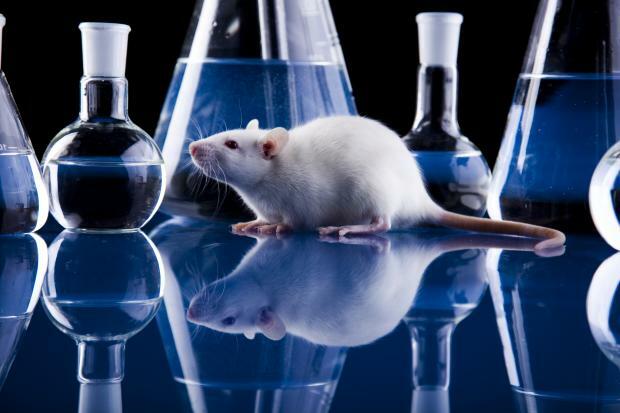 In fact, so-called “animal models” are only typically 30% to 60% predictive of human responses, and there are potentially life-saving drug therapies that never make it to human clinical trials because they’re toxic to mice. In these cases, there’s no way to measure the lost opportunity when animals predict the wrong response. And all told, it takes an average of 14 years and often billions of dollars to actually deliver a new drug to the market. We’ve also got the lung, gut, liver and kidney. We’re working on skin. 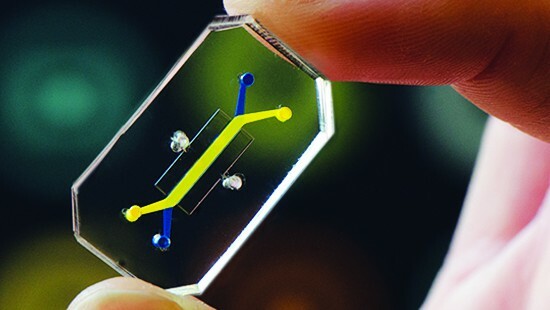 The goal is really to do the whole human body, and then we can fluidically link multiple chips to capture interactions between different organs and eventually recreate a body on a chip. This has led to further developments in the technology, and Hamilton is now launching a new startup company to bring it to the commercial market. Emulate, the new startup that will license Wyss’s technology, isn’t looking to literally create a human body but rather to represent its “essential functions” and develop a platform that’s easy for all scientists and doctors to use, says Hamilton, who will become Emulate’s president and chief scientific officer. 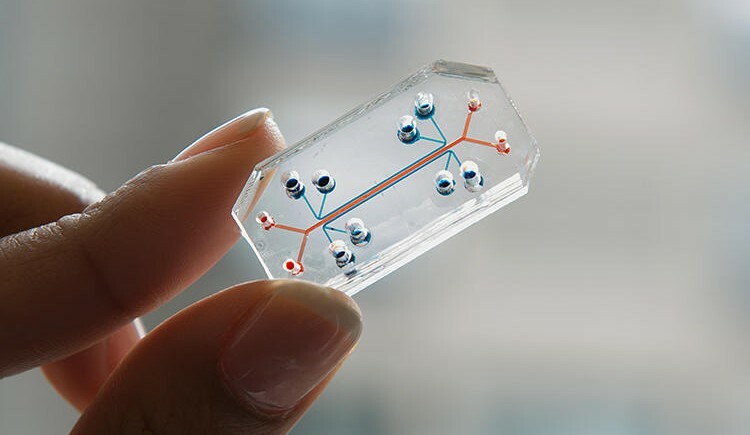 Borrowing microfabrication techniques from the semiconductor industry, each organ-on-a-chip is built with small features – such as channels, vessels, and flexible membranes – designed to recreate the flow and forces that cells experience inside a human body. 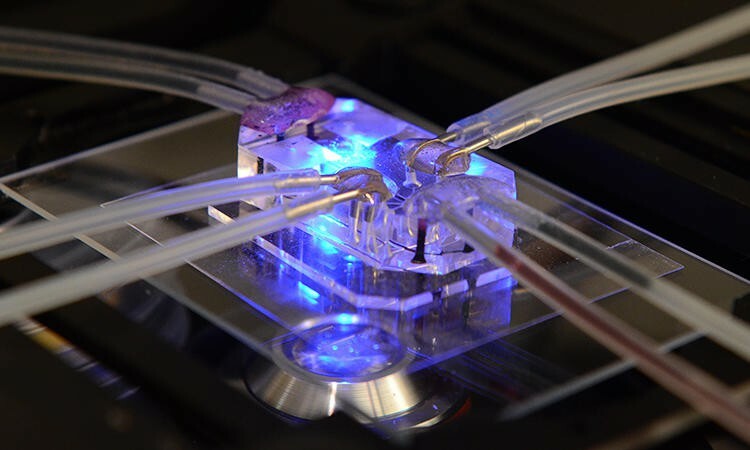 All that’s needed are different chips with different culture of human cells; then researchers can performed tests to see how drugs work in one region of the body before being metabolized by the liver. This might one day help the military to test treatments for biological or chemical weapons, a process that is unethical (and illegal) with humans, and cruel and often inaccurate with animals. Hospitals may also be able to use a patient’s own stem cells to develop and test “personalized” treatments for their disease, and drug companies could more quickly screen promising new drugs to see if they are effective and what (if any) side effects they have on the body’s organs. It’s a process that promises speedier tests, quicker delivery, a more cost-effective medical system, and the elimination of cruel and often inaccurate animal testing. Can you say win-win-win?